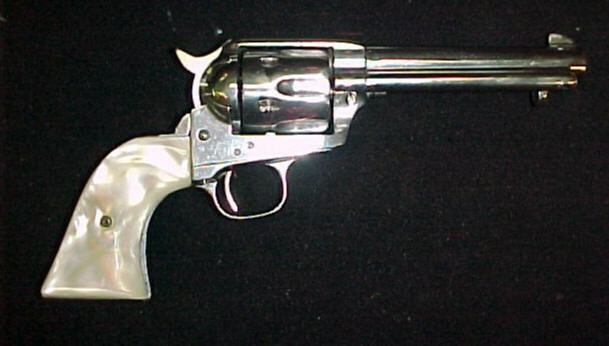 This Colt Single Action 40-44 caliber with Pearl Grips. Frontier Six Shooter Marked on Barrel. 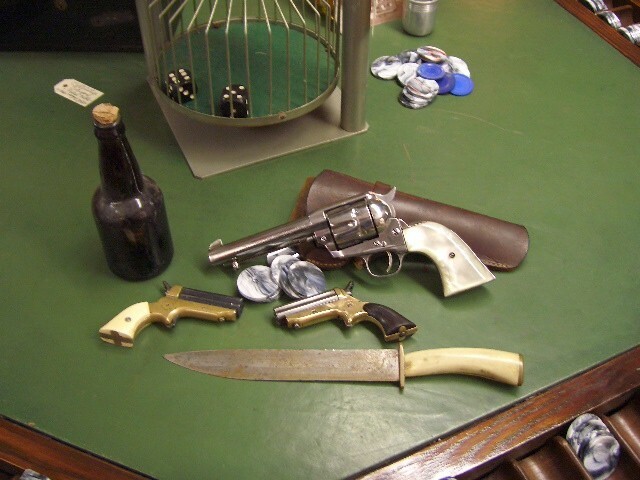 The Pearl Grips Indicate it was a Gamblers Gun. The hammer has been modified for fast draw as well as the trigger. This gun is listed under Colt Pre 1898 Category. No FFL required. Price by request. View other pictures. 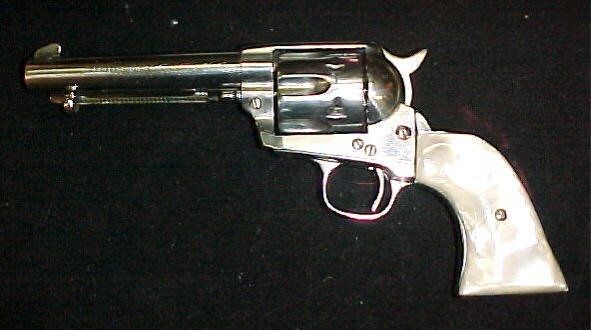 This Colt Single Action 40-44 caliber with Pearl Grips. Frontier Six Shooter Marked on Barrel. The Pearl Grips Indicate it was a Gamblers Gun. The hammer has been modified for fast draw as well as the trigger. This gun is listed under Colt Pre 1898 Category. No FFL required. Price by request. View other pictures. Please email cowboycabin@centurytel.net with questions or call 406 270-2842.